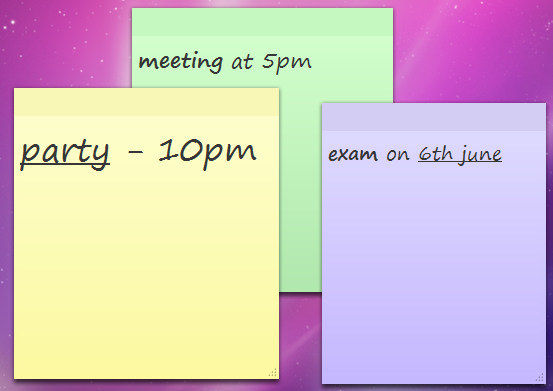 STICKY NOTES is an inbuilt application in Windows 7 that helps you to catalogue your events and also to remember them. You can save important ideas,to-do list, meetings or any other things you want to remember just like the normal sticky notes but electronically (Save paper, save the world :)). Here are a few things you probably don't know about STICKY NOTES. Just right click on the note and you will be provided with options of some colors. You can choose your favorite color among those. 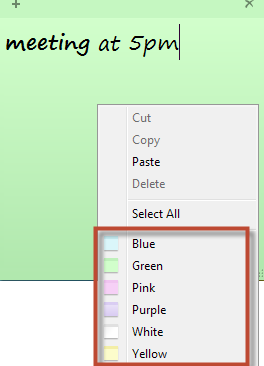 You can format the text of a sticky note just like in a word processor (but not many formatting options). You can add bullets, underline some text, italicize or bold or strike through as well. You can even increase or decrease the size of the text. Select the text you want to format and use the following shortcuts to format it as you like.